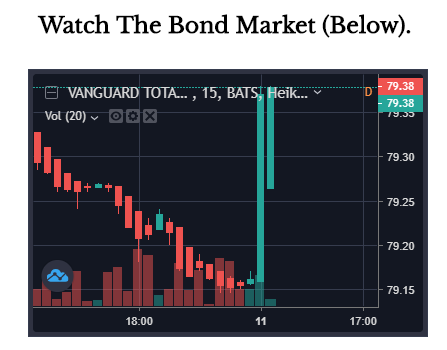 I'm still too new to charts and do not know much about the bond market. Can you please explain the significance of this chart? Thanks in advance! I'm buying PM's and mining stocks. That's about it. What you explained makes sense though. The big money has to go somewhere. They are just not panicked enough yet to move into PM's. Thanks! There is no PM's for big money to move into. Sure, gold is $1290 right now if you are going into a coin shop and buying a few ounces. But, if you are trying to buy a ton, the word is you are paying twice that and waiting some months. The "apparent" liquidity of PM's is a carefully maintained illusion. The same guy that said "Take their guns first, ask questions later" is going to use a wall as an excuse to declare a state of emergency. 20190111... False flag imminent? Dictator Trump made official? See this reply on ZH?